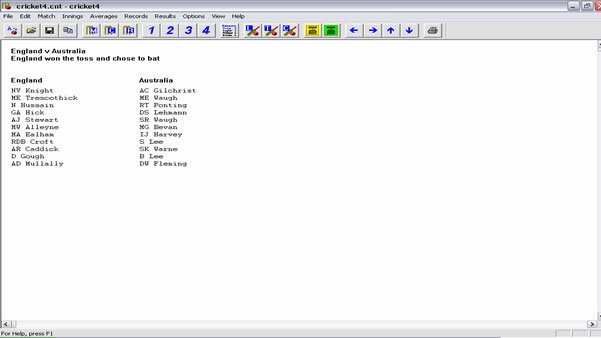 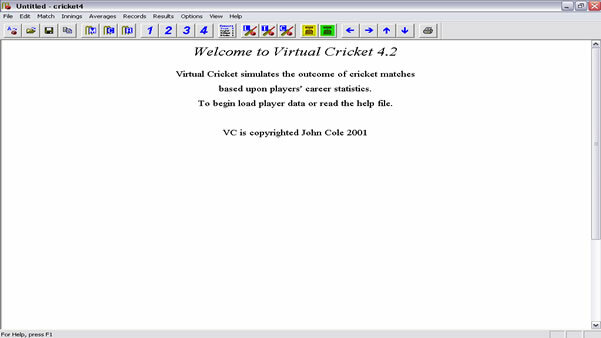 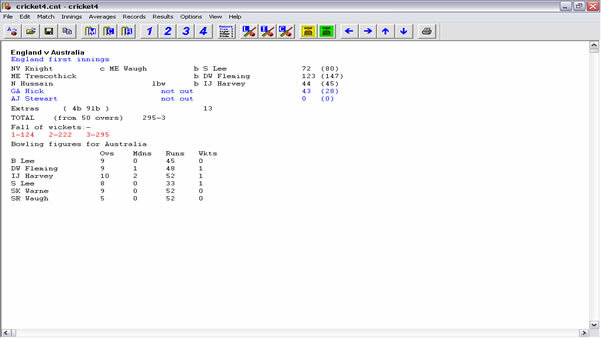 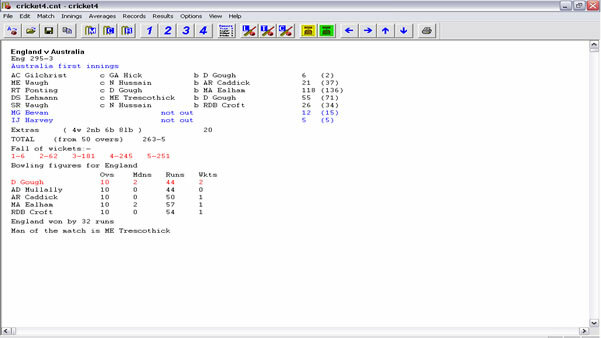 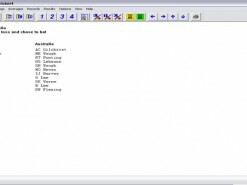 Virtual Cricket is a freeware program for Windows 95/98/NT written by John Cole. 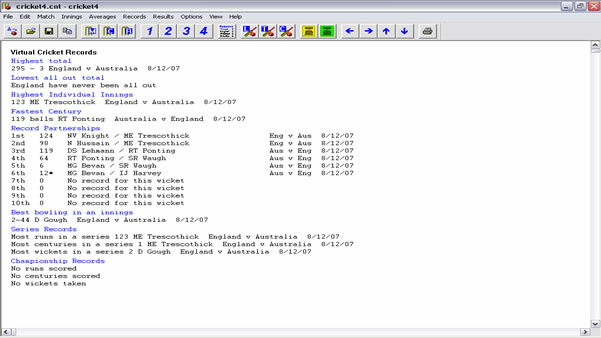 The latest version v4 was released on 9 September 2001. 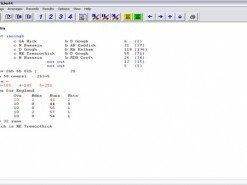 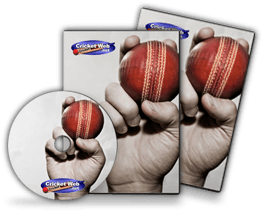 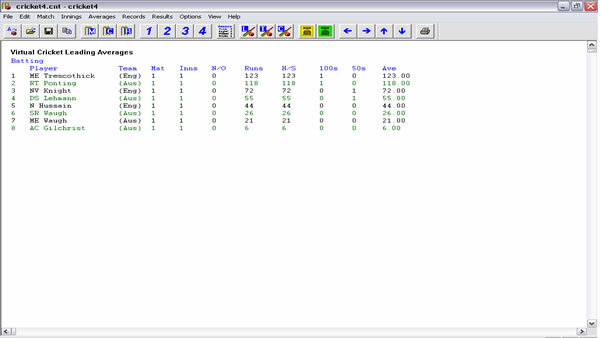 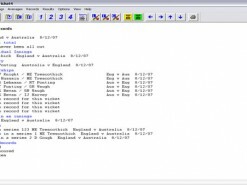 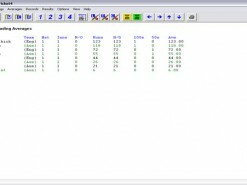 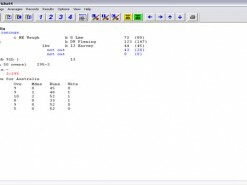 Virtual Cricket is a statistics based cricket simulator and is great for simulating Tests, First Class or One Day Internationals and is the perfect program for anyone running a PBeM or who is into re-creating history . 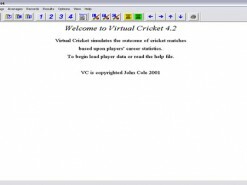 How would you rate Virtual Cricket?